Nvidia has launched a new set of WHQL-certified drivers for GeForce graphics cards, bringing official support for the Vulkan API now that it has reached version 1.0. Like DirectX 12, Vulkan supports reduced driver overhead and 'closer to the metal' access to GPU hardware, succeeding both AMD's Mantle API and OpenGL. Support for Vulkan 1.0.3.0 in Nvidia's GeForce 364.47 driver is more a future proofing move than anything, as currently there are very few 3D games, applications or even demos that make use of the API. However it's a step in the right direction for Nvidia, as they're now the first company with support for both DirectX 12 and Vulkan in a non-beta driver. The 364.47 drivers are also 'Game Ready' for a collection of the latest PC games. 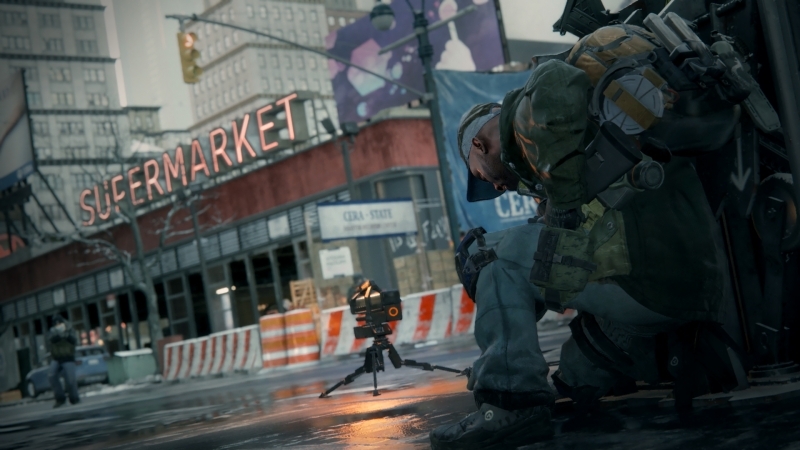 The big inclusion here are optimizations for Tom Clancy's The Division, which launches on PC tomorrow, as well as for Need for Speed, which becomes available to the public on March 15th. Game Ready optimizations are also included for the first episode of Hitman, along with Ashes of the Singularity. You can expect new SLI profiles for Hitman, The Technomancer, and Zui Zhong Bing Qi (Ultimate Weapon), plus bug fixes for a collection of popular games. You can download the 364.47 drivers through GeForce Experience automatically, or you can grab a manual installer from our driver download section here. Actually The Talos Principle adopted the new API the day it was released. I wonder if Microsoft gets a headache every time they hear the name Vulkan. I updated yesterday day, and now newer drivers! The graphics drivers have gotten massive. I remember the old GeForce Detonator drivers used to be about 30 Mb and they used to take me long while to download because I downloaded them over dial up. I still have a 50 MB hard drive in my basement. Anyhow, it goes without saying that as things become more complicated, they generally will become larger. But yeah, pretty neat when you think back. Oh and for anyone else, SLI is weird with this release in The Division. Been dealing with a VRAM leak and SLI randomly dropping out entirely after Pre-rendered cutscenes. What bothers me is I've never dealt with VRAM leaks in the past 10+ years or so, and I've had 2 of them on 10 in the past few months. I still have my very 1st HDD stored away, a massive 10 MB job. Before that I used a cassette tape of 360 KB floppy's to boot and store. This sample illustrates techniques for utilizing multiple threads to animate a scene. It also makes use of instanced meshes to render a high number of moving objects with minimal draw calls. Both Windows (x86 and x64) and Android (SHIELD supported) versions are included in the download. Currently the sample uses NVIDIA specific extensions and only runs on GeForce GPUs and SHIELD systems that support Vulkan; this requirement will be removed in a coming update.